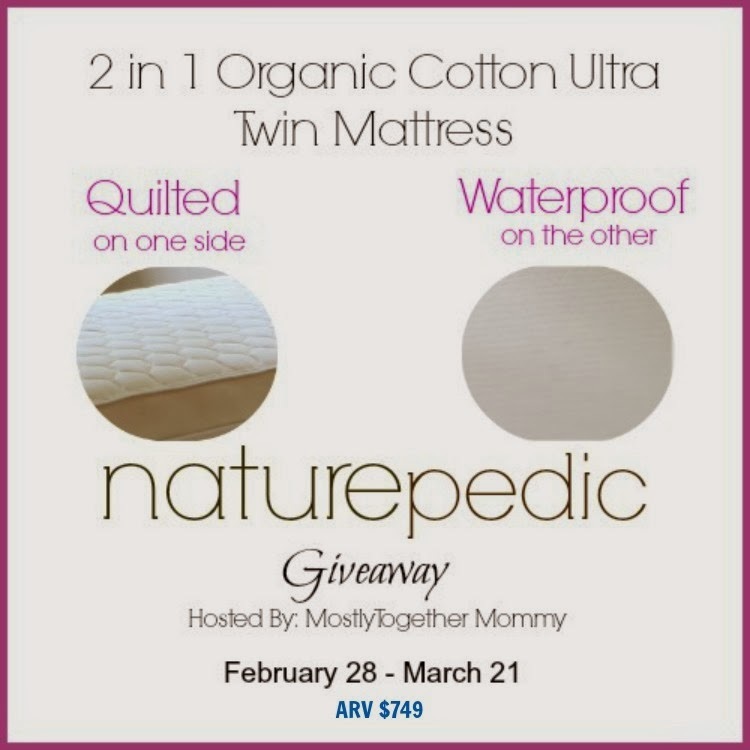 Welcome to the Naturepedic 2 in 1 Organic Ultra Twin Mattress Giveaway! We are excited to have teamed up with some bloggers to offer you this awesome giveaway for a naturepedic mattress! As you may have noticed us mention in the past, a non-toxic sleeping environment is so important, especially for children. Mattresses today are pumped full of carcinogenic chemicals that off gas for years as we sleep on them, that's an unfortunate truth. Brands like naturepedic provide options for creating a safe sleep environment. When thinking about a great mattress for kids, there are several things to consider. You want to be sure that it will be easy to clean, non-toxic, but also comfortable. Renae from Mostly Together Mommy was able to review the naturepedic 2 in 1 Organic Ultra Twin Mattress and found all of these great things in one mattress! Be sure to check out the full review here. One lucky reader is going to win their own twin 2 in 1 mattress! To enter, simply use the Rafflecopter form below. 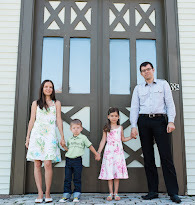 One entrant per household please! This giveaway will end on March 21, 2014 at 11:59 p.m. CST. Winners will be notified via email and will have 48 hours to respond, or another winner will be drawn. *This blog has not been compensated to promote this giveaway. This giveaway is in no way affiliated with Facebook, Twitter or Pinterest. The sponsor is responsible for prize fulfillment. I their Organic Cotton/Organic Kapok Pillow. I would love to have an organic pillow. Organic Cotton/PLA Pillow in toddler size. :) Thank for the chance. I love their EOS organic mattress series! I would love one in a king size! I like the organic crib mattress and the pillows. organic luxury pillowtop mattress 16"
I like the kids pillow top mattress topper. My son would love that! I love the Overture Pillowtop. I'd get an organic pillow for my son. I like the Organic Cotton Waterproof Mattress cover. Adjustable beds. My back could soooooooo use one. The adjustable beds. My back could desperately use one. I really like the mattress pads. we are in need of a new one and it was really interesting to read about the polylactide they use. We have the Lullaby Earth Two sided organic mattress for my other son. It's also in the Naturepedic brand but I guess a "generic" version. I don't see it offered on the site but it's $199 and I have no complaints about it. I love the essentials pillowtop! That would make our bed sooo comfortable! I would love a couple of the organic pillows! I like that they have organic changing table pads. I love the Organic Cotton Pillowcases for kids! I have coveted a Naturepedic mattress for so long and would love the symphony or the new EOS. I would love to have the organic cotton lightweight crib mattress! I dream of owning a Concerto for myself!